LAS VEGAS, Jan. 8, 2019 /PRNewswire/ — She has a face, body and endearing personality. Meet Addison, a conversational speech interface including visual, Artificial Intelligence and ambient augmented reality, created by electronic caregiver™, a division of SameDay Security, Inc. Designed to transform the home into a fulltime health and wellness environment, Addison appears on 15-inch media screens throughout a residence and provides support to consumers with features including medication management, care plan adherence, social experiences and emergency response. Addison, of Addison Care, the World’s First Virtual Caregiver is debuting at CES 2019. What began as a futuristic concept for Anthony Dohrmann, Founder and Chief Executive Officer of SameDay Security, Inc., quickly became reality with the design, innovation and creation of Addison Care™. “We wanted to give new life to voice-based virtual assistants in a way that dramatically expands the utility of voice platforms, while significantly enhancing the user experience. Addison will transform the way people interact with technology. She uniquely inspires a feeling of affection, helping people connect and better embrace their new tech,” Dohrmann said. Imagine a 3D, crystal clear health professional and personal assistant in your home. Though she lives with you, Addison is presented in stunning scenes and interactive environments that develop over time and are uniquely targeted to you and your needs. Her features, combined with just a one-hour set up time, will make Addison a staple in home technology. “Addison powered by Sumerian are cutting-edge interactive solutions that can transform home and healthcare. Addison Care represents a quantum leap forward in addressing the medical, financial, and social realities of an aging population and their caregivers,” stated Mark Francis, Head of Product Marketing for Amazon Sumerian, AWS. In preparation for CES in Las Vegas, Nevada, new disclosures and websites are scheduled to go live in late December 2018. Until recently, most of Addison has been confidential. Amazon Sumerian is a browser-based authoring tool from AWS designed to create and run for the development and publishing of AR, VR and 3D applications. Using Amazon Sumerian, developers and designers can build immersive apps quickly and easily without requiring any specialized programming or 3D graphics expertise. Experiences built with Sumerian are designed to be embedded into a web page or be consumed on popular hardware such as HTC Vive and HTC Vive Pro, as well as Android and iOS mobile devices. For more information, visit https://aws.amazon.com/sumerian. A new augmented reality game is being developed to help stroke victims stick to their rehabilitation regimen. More than six million people worldwide die each year from strokes. Every two seconds, someone, somewhere is having one. Not all strokes are fatal, of course. In fact, 80 per cent of stroke victims survive, though many experience one or more serious lingering effects, including paralysis and cognitive and motor impairment. When a stroke occurs, areas of the brain are deprived of oxygen and neural pathways can become damaged. The good news is that the brain is a resourceful organ, and thanks to neural plasticity, it may be possible to relearn forgotten abilities through rehabilitation—targeted repetitive exercises—that helps the neurons re-organize themselves and allows the victim to regain function. The problem is that rehab is hard, and painful, and according to Regan David Petrie, some 69 per cent of stroke patients don’t get the recommended level of rehab activities. This is why the master student at Victoria University of Wellington has been developing an augmented reality (AR) mobile game, an “exergame,” whose purpose is to engage and reward stroke victims in order to keep them engaged in their therapy. Petrie’s game was designed using Google’s Tango Augmented Reality platform prior to the search giant switching support to its newer, more consumer-oriented ARCore system. As the game’s player observes his or her surroundings through a mobile device, virtual 3D objects appear to set the scene and with which the player can interact. • sitting down to collect more berries from an AR bucket on the floor. There are game controller buttons with interactive elements, but, says Petrie’s thesis, “The game was designed to incorporate minimal touch interactions—this was driven by the interaction model which was comprised of natural physical movements,” that is, standing up and sitting down. • Penny the Yellow-Eyed Penguin, focusing on walking exercises. 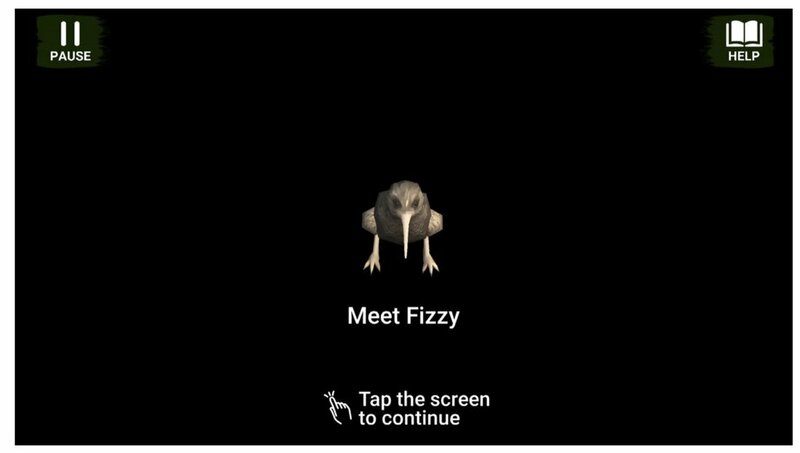 Petrie’s thesis describes the design and goals of the app, and usability testing he completed for NZ Fauna AR. Petrie tested NZ Fauna AR with a cohort of five stroke victims in two phases. The five subjects were selected as “a user base that represented an audience with a wide range of cognitive and physiological abilities.” Gameplay lasted for 10-15 minutes, followed by a questionnaire in which they recorded their reactions to the experience. 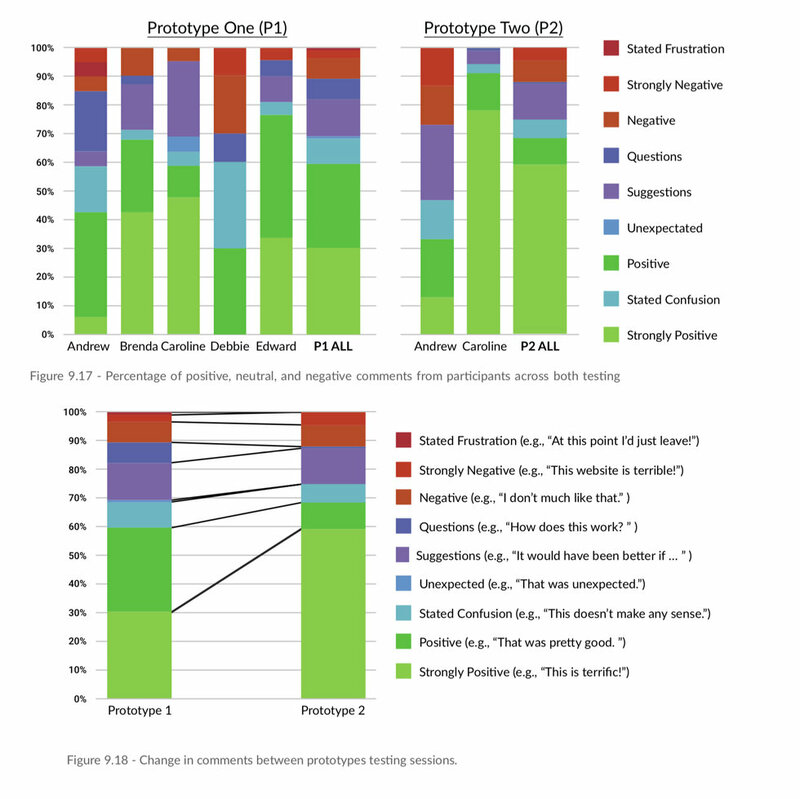 A second test was conducted with two of the five subjects, who used a second version of the game prototype in which Petrie had fixed some flaws revealed in the first round. One of the subjects still had trouble understanding the game, while the other one loved the changes. One reaction to the game was particularly touching, and revealing: “Caroline passionately illustrated that taking the focus off her is important and that her being the caregiver (instead of the care receiver) and coherently helping someone else (the kiwi) was delightful and made the experience meaningful to her.” One can imagine that such a perspective shift would be welcome for anyone sick of being the subject of chronic care. Petrie will no doubt continue to refine his game, not least because he’ll probably want to migrate to Google’s latest AR platform. He also hopes to add a multiplayer mode of some sort so stroke patients can do their rehab together, with the added social element making it even more fun. As to the efficacy of AR for promoting rehabilitation in stroke victims and others who require repetitive exercise to regain lost function, it would seem that the game designers involved will need to capture some Pokémon Go/Super Mario/Angry Birds magic to keep players—the patients—engaged. That’s a challenge for any game developer, but NZ Fauna AR is certainly an interesting and potentially life-changing use of AR. Motivating game-based training have the potential to improve therapy for people with neurological impairments. In recent years, the serious games have become extremely useful tools in rehabilitation field. They aim to stimulate the mobility of the body through an immersive experience that puts the user in interactive virtual environment. This paper is concerned about developing a customized augmented reality system for stroke rehabilitation. This will be done through integrating an interactive serious game interface with a hand exoskeleton device. This game-based rehabilitation system allows users to carry out physical rehabilitation therapies using a natural user interface based on Kinect’s skeletal tracking features and the electromyography (EMG) sensor. During game playing, the interactive user interface provides useful real-time feedback information such as the time required to grasp a desired dynamic virtual object, and the assigned score and thus the ability of the proposed system to provide a compensatory action regarding the dynamic behavior of the virtual target. The main goal of the developed virtual environment is to create positive influences on the rehabilitation process. Patient movement information and signals obtained from the developed exoskeleton device are used together to monitor the rehabilitation progress. The developed exoskeleton hand is a 3D printed low cost device suitable for grasping tasks that can be used even for domestic stroke patients. The developed exoskeleton device is not only a mechanical system able to perform the rehabilitation act but also it presents an effective tracking and traceability software solution. The EMG signals measured during hand motion are used to detect the intention of hand opening or closing which in turn will actuate the mechanical structure to accomplish the desired task. Parameters and results of patients’ exercises are stored and analyzed when needed to evaluate patients’ progress. The developed system is tested experimentally and it is able to restore the functions of the upper limb and mainly give patients more motivation to undergo the rehabilitation exercises. The existing systems of hand rehabilitation always design different rehabilitation medical apparatus and systems according to the patients’ needs. This kind of system always contain problems such as complexity, using only single training programs, inconvenient to wear and high cost. For these reasons, this paper uses gesture recognition technology and augmented reality technology to design a simple and interactive hand rehabilitation supplementary system. The system uses a low-cost, non-contact device named Leap Motion as the input device, and Unity3D as the development engine, realizing three functional modules: conventional training, AR game training and auxiliary functions. This rehabilitation training project with different levels of difficulty increases the fun and challenge of the rehabilitation process. Users can use the system to assist the treatment activity of hand rehabilitation anytime and anywhere. The system, which has good application value, can also be used in other physical rehabilitation fields. PHOENIX, Dec. 7, 2018 /PRNewswire/ — Virtual Caregiving is set to enter both the healthcare industry and patient home settings. In January 2019, G60 Trauma (G60Trauma.org) will begin testing Addison Care, the world’s first, comprehensive virtual caregiving system to provide real time, 24/7 patient monitoring and care. Addison Care provides exciting new components to an interactive voice platform to demonstrate an interactive, augmented reality feature tied to visual sensing and connected home devices. Now, not only can you have a two-way conversation with an Electronic Caregiver, but the technology comes alive with an expertly designed augmented reality character named Addison, developed on AWS Sumerian. Addison provides a breakthrough user interface. What can Addison do? In a clinical setting, Addison can greet a patient, recognized through facial recognition, conduct a verbal health examination, collect vitals, and even direct a comprehensive gait and balance session to determine the probability of a ground level fall in a particular patient. In the residential environment, Addison provides medication reminders, verifies medication consumption, provides medical test reminders, monitors vitals, demonstrates rehabilitation exercises, assesses a patient’s progress, mood, fall risk and responses to escalating conditions and emergencies including contacting responders or caregivers in time of patient need. How does Addison work? A network of wireless visual sensors, local AI (artificial intelligence)-based processors, interactive tablets, Bluetooth biometric devices and emergency monitoring devices will be setup in a residence. Addison Care will be marketed and supported by a network of nationwide private duty home care providers that will serve as both live caregivers and Addison Care representatives. CEO of SDS, Anthony Dohrmann said, “Our goal is to expand affordable population health careto the masses, while lightening the burden on providers and payers. We are delivering an exciting new form of technology to patients and the active aging to improve their quality of life and health outcomes.” Addison will be making its debut at the Las Vegas Consumer Electronics Show January 8-11, 2019, Booth: Sands Convention Center Halls A-D – 42142. Why partner with G60 Trauma Organization? Dr. Alicia Mangram, founder of G60 Trauma in Phoenix, Arizona, is a surgeon and acclaimed trauma specialist who has devoted her career to improving trauma care through advocacy, surgical and critical care research, education and community services. G60 Trauma is a specialized care program designed for trauma patients over the age of 60, with the goal of optimizing their recovery and safely discharging them back to their homes. This partnership will allow us to study hundreds of patients who have had a ground level fall and provide us with the data and information we need to continue producing products and services geared toward prevention and superior outcomes. With an expert research team of professionals behind hundreds of successful research publications and processes, G60 Trauma team will be conducting an expansive study involving over 500 patients to document the effectiveness of Addison Care and Electronic Caregiver on improving patient outcomes, increasing patient and family satisfaction, reducing hospital readmission and reducing mortalities. Also, improving treatment adherence with the hope of validating a more effective, outcome based, continuum of care capable of reducing the long-term pressures and costs associated with long-term care and chronic disease management. “The costs of treatment non-adherence have been reported to be as high as $300B annually and is noted as being responsible for 50% of all treatment failures. 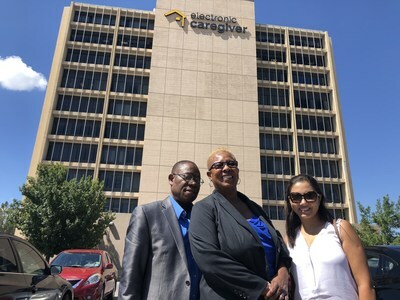 In a period of nursing and physician shortages, where home care is inadequate in frequency partly due to high cost, our hope is that Addison Care and Electronic Caregiver can fill the gap in patient care and bring better outcomes to the masses,” Dr. Alicia Mangram stated. G60 is a specialized trauma care program developed by Dr. Alicia Mangram. Since 2009, Dr. Mangram has devoted her career to improving trauma care through advocacy, surgical and critical care research, education and community services. In the beginning of her career, she quickly realized that a traumatic injury in patients 60 years and older could occur from a simple fall resulting in a hip fracture. The traditional approach was to admit them to a medical facility and await medical clearance for pre-existing conditions such as diabetes, heart disease, etc. prior to any surgery. While patients waited for medical clearance, other medical related complications could develop. Recognizing the cause of these complications lead to a paradigm shift and implementing an aggressive care approach for our G60 population. Through evidence-based research, Dr. Mangram and her team developed a care plan to address the needs of G60 trauma patients. These care plans achieved several goals, such as: Expedited early identification in the ER, admission to trauma service, alternative pain management modalities, for example, hip block, multidisciplinary care rounds with integration of the Biopsychosocial Model, evaluation of care approach through research and data analysis, achievement of optimal level of functioning and independence upon discharge. BOSTON (CBS) — It’s not virtual reality, it’s augmented reality and that makes all the difference for patients at Spaulding Rehabilitation Hospital. Scientists at the hospital’s Inspire Lab are developing and testing the technology to help patients heal. The technology he is using could revolutionize the way people with catastrophic injuries are helped. “I have a spinal cord injury at level T-9 and T-12 of the vertebrae,” Priest explained. The Inspire Lab, headed by Doctor Randy Trumbower, focuses on helping people move again. This year, his team of scientists created a new technology using augmented reality. That means computer generated images are superimposed over the real environment. For example, a patient can follow a Pac man around the room at changing speeds. “Different grades, steps, obstacles, things that you maybe wouldn’t experience in a traditional therapy setting,” said Preist. It also means that this therapy can be targeted. “The thing that is attractive about this particular technology is that it extends those benefits in a way that is more personalized,” said Trumbower. And ultimately it allows a patient to use that technology anywhere. While Priest can only use the visor for short periods, he has still seen improvements. Friday was the first time he tried it without crutches. The lab is still in the early stages with the technology, but the promise is there and the work continues. Virtual reality (VR) and augmented reality (AR) technologies are still at an early stage, but both could have significant benefits for the NHS. 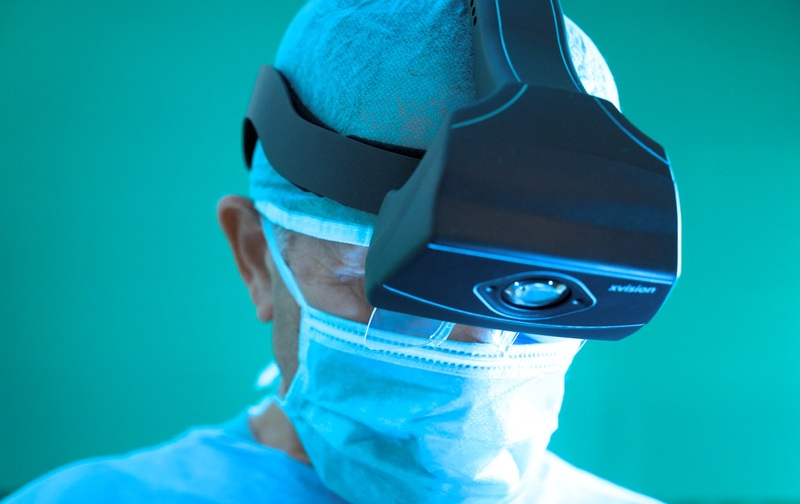 Healthcare organisations could be spending as much as $5bn globally on AR and VR by 2025 according to one prediction, with potential applications ranging from surgical simulation and diagnostic imaging to patient care and rehabilitation. VR headsets — like the Oculus Rift or HTC Vive — offer a fully immersive experience while AR headsets — like Microsoft HoloLens or Magic Leap — allow you to overlay virtual objects onto the real world to create a mixed-reality experience. Both options are being explored by doctors around the world. And while countries with private healthcare systems are leading the way in VR adoption, countries dominated by publicly-funded healthcare are also exploring these technologies. Surgeons in Poland have already demonstrated how Google Glass could be used to help plan heart procedures, and now NHS clinicians are following suit. Microsoft’s HoloLens has been used to help surgeons plan operations: for example, surgeons at Alder Hey hospital in Liverpool hope to use it to visualise patients’ scans during procedures, while three surgeons in three separate UK hospitals have used it for bowel cancer surgery. A team of surgeons at Queen Mary’s Hospital have also been experimenting with wearing HoloLens headsets during surgery, overlaying a map of the patient’s anatomy — showing the path of blood vessels and the course of muscle groups — onto them during surgery. The map is created using CT scans of the patient, and allows the surgeons to navigate away from important structures during surgery. “There’s a lot of activity in this area now these types of devices are readily and commercially available,” says Philip Pratt, research fellow in the department of Surgery & Cancer at Imperial College London. For example, surgeons who can visualise anatomy using the headsets can more easily avoid sensitive structures when making incisions, potentially reducing the time it takes for the patient to heal and therefore the time they spend in hospital, and similarly reduce the need for any secondary or corrective surgery. Training up future doctors could also be a growth area for VR. While universities, rather than the NHS, are charged with training medical students, the vast majority of graduates from UK medical schools will go on to work in the NHS, and so their degrees are designed to fit the needs of the health service. Once qualified, junior doctors still receive significant amounts of training within their NHS hospital placements too. There are already a handful of proof-of-concept anatomy teaching modules that use AR. One medical school in the US is planning to do away with its anatomy lab altogether in favour of using HoloLens. And for junior doctors — those undertaking training in a medical speciality such as general surgery, psychiatry, or respiratory medicine — VR is likely to have an even greater role in their future training, helping them learn how to perform new procedures in a virtual hospital and even experience them from the patient’s point of view to help improve their communication skills. NASA has even considered using AR headsets to help astronauts conduct medical examinations aboard the International Space Station. VR and AR won’t just be doctors’ tools, however: early experiments are showing that patients too could be seeing more virtual reality headsets in their future. Companies like Oxford VR have been trialling the use of VR technology to help mental health patients. The University of Oxford spinout has been using simulated environments and a virtual coach to help people tackle their fear of heights. The National Institute of Health Research is funding Oxford VR to the tune of £4m to develop a VR therapy package for patients with psychosis; it is also working on a package for young people with social anxiety. Commercial VR headsets are combined with custom software to create virtual versions of the environments that patients would typically find difficult, allowing them to explore those situations safely and, eventually, become comfortable with them. The NIHR said it believes the funding will help create a VR product that will be taken up by the NHS. VR therapy has also been tested at King’s College and the South London and Maudsley trustfor improving auditory hallucinations in people with schizophrenia, and to help families affected by the Grenfell fire. There have also been signs that virtual reality could be used for neurological, as well as psychiatric, conditions. Traumatic brain injury can leave people severely disabled, and can require intensive rehabilitation before they’re able to perform their day-to-day activities unassisted. It’s thought VR could be used for both assessing and treating traumatic brain injury. For example, avatars in VR have been used to assess patients’ higher brain functions or detect cognitive problems, while virtual kitchens have helped healthcare professionals assess how people with traumatic brain injury can undertake normal daily activities. VR has also been used to improve balance or attention after traumatic brain injury. For now, however, most use of VR as a treatment tool is very much in the pilot stage, offered to relatively few people; larger trials with hundreds of participants would be needed before it would be possible to assess the benefits of such treatments for the population as a whole. It’s worth remembering that even outside of the healthcare space VR and AR are at an early stage; the hardware is still cumbersome, the applications still evolving, and the pricing still way too high. As the general market evolves, ways to apply the technology to the NHS may become clearer. Sectors such as retail, for example, where spending on new technology is less constrained, will potentially act as examples of how the technology can be used in the healthcare. “When I see AR or VR in the retail environment, I think it’s almost desensitising some of the use cases that the NHS can then take a more bold step towards,” Andrew Finlayson, managing director of Accenture Interactive, told ZDNet. The success of AR and VR has been just around the corner for decades, but if the most recent crop of headsets proved a success with consumers and business, expect to see a lot more use of such technologies in the NHS in the near future. Early, intense practice of functional, repetitive rehabilitation interventions has shown positive results towards lower-limb recovery for stroke patients. However, long-term engagement in daily physical activity is necessary to maximise the physical and cognitive benefits of rehabilitation. The mundane, repetitive nature of traditional physiotherapy interventions and other personal, environmental and physical elements create barriers to participation. It is well documented that stroke patients engage in as little as 30% of their rehabilitation therapies. Digital gamified systems have shown positive results towards addressing these barriers of engagement in rehabilitation, but there is a lack of low-cost commercially available systems that are designed and personalised for home use. At the same time, emerging mixed reality technologies offer the ability to seamlessly integrate digital objects into the real world, generating an immersive, unique virtual world that leverages the physicality of the real world for a personalised, engaging experience. This thesis explored how the design of an augmented reality exergame can facilitate engagement in independent lower-limb stroke rehabilitation. Our system converted prescribed exercises into active gameplay using commercially available augmented reality mobile technology. Such a system introduced an engaging, interactive alternative to existing mundane physiotherapy exercises. The development of the system was based on a user-centered iterative design process. The involvement of health care professionals and stroke patients throughout each stage of the design and development process helped understand users’ needs, requirements and environment to refine the system and ensure its validity as a substitute for traditional rehabilitation interventions. 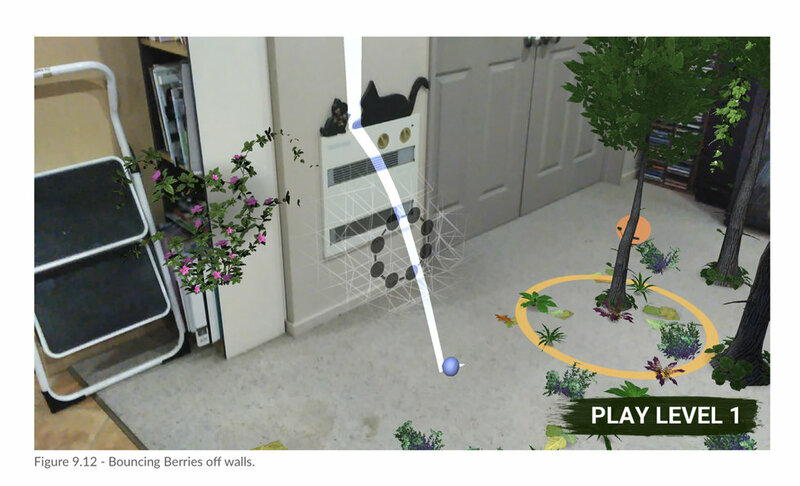 The final output was an augmented reality exergame that progressively facilitates sit-to-stand exercises by offering immersive interactions with digital exotic wildlife. We hypothesize that the immersive, active nature of a mobile, mixed reality exergame will increase engagement in independent task training for lower-limb rehabilitation. Israeli companies are using futuristic technologies to simplify complex surgery, manage rehab, relieve pain, soothe autistic kids and much more. Spine and heart surgeons will use augmented reality (AR) to simplify complex procedures. Autistic children will get relief from sensory overload with a calming virtual reality (VR) system. These and other scenarios are made possible by Israeli innovations tapping into the tremendous potential of AR and VR for healing and wellbeing. The methods are similar: AR superimposes static and moving images to enhance an actual environment, while VR immerses the viewer in a simulated three-dimensional environment. “Israel is on the frontlines in some areas of this technology,” says Orit Elion, a professor of physical therapy at Israel’s Ariel University, which hosted a conference last year to strengthen cooperation between AR and VR developers and researchers for health applications. Elion helped develop a VR-based tele-rehab service at the Gertner Institute of Chaim Sheba Medical Center in Tel Hashomer, now used across Israel to enable monitored home physical or occupational therapy sessions for patients living far from healthcare centers. “There aren’t so many programs in the world like this — a service that has no geographic boundaries,” Elion tells ISRAEL21c. Currently, she is investigating how VR training can help with balance and fall prevention in the elderly. “VR is a dream for that, because you can manipulate the environment with all kinds of visual input,” she says. Here are other examples of Israeli AR and VR in the health sector. 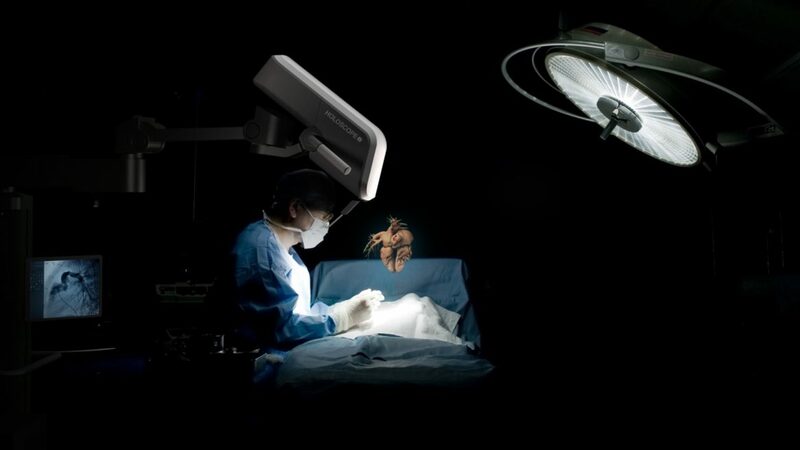 Surgical Theater makes a portfolio of VR products based on the notion that surgeons could train for complex procedures much like the Israeli founders of the company trained for Israel Air Force missions. Neurosurgeons at major medical centers and academic institutions in the United States and elsewhere are utilizing Surgical Theater’s VR medical visualization platforms for surgical planning and navigation, patient education and engagement, and training surgical residents. In the first quarter of 2018, RealView Imaging will release its long-awaited HOLOSCOPE-i, designed to deliver live, in-air 3D holographic visualizations during interventional cardiology procedures. Powered by the Intel RealSense SR300-Series camera based on RealView’s proprietary digital light shaping technology, HOLOSCOPE-i is the first commercial system allowing clinicians full and direct control of 3D images in real time. Surgeons can rotate, zoom, slice, mark and measure within the floating holograms. Coming next from RealView Imaging are HOLOSCOPE-x for visualization of holograms inside the patient during interventional oncology procedures, and a holographic headset for non-medical professional applications. Augmedics develops xvision, an AR head-mounted display for spine surgery that allows surgeons to see the patient’s anatomy through skin and tissue, as if they had “x-ray vision.” The system can project the patient’s anatomy, in real time, directly onto the surgeon’s retina, with the aim of increasing safety in surgery, reducing x-ray radiation and facilitating minimally invasive procedures. Using xvision, surgeons will be able to visually and accurately track all their surgical instruments well within their field of vision as they work. A combination of proprietary tracking algorithms, hardware, software, an image data merging unit, and specialized instruments guide the surgeon through the operating site during major and minor procedures. The xvision system will also utilize sensors to collect surgical information, which, when connected to a big data system, will analyze and process the data, using profound learning algorithms to provide alerts and suggestions to assist the surgeon during the procedure. Augmedics has already performed pre-clinical cadaver trials in the US and EU. The company will start clinical studies in Q2 2018 in Israel, and later this year at the Johns Hopkins Hospital in Baltimore, Maryland. 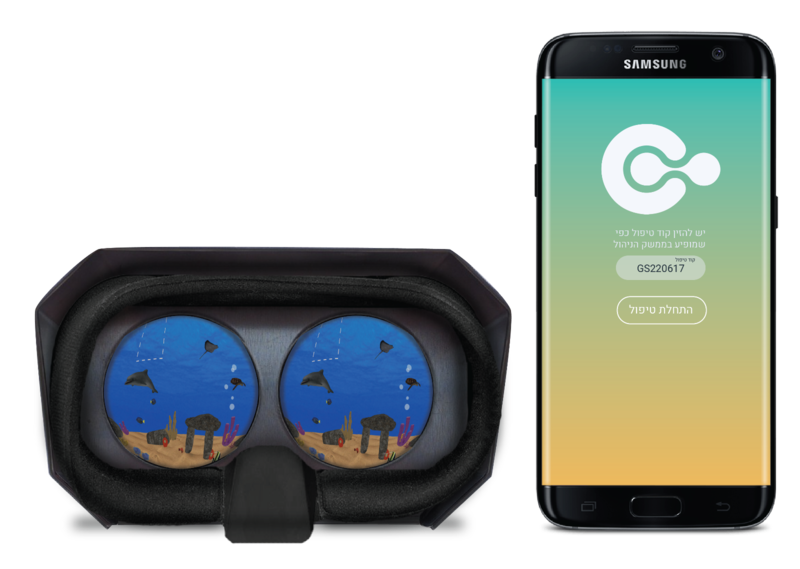 Using VR goggles, the Calma system immerses an autistic child in a simulated underwater scene filled with corals, colorful fish, bubbles and divers. “Children on the autism spectrum typically suffer from sensory moderation disorder, traditionally treated in a ‘white room’ where various objects are gradually introduced. This is costly and not always readily available. Our initiative simulates the white room with VR,” says Dan Kohen-Vacs, a senior computer science researcher at Holon Institute of Technology (HIT), where Calma was invented by students last year. A management console allows the therapist to add, moderate or remove stimulants (including music) in response to the reaction of the child in real time. The goal is to train the child’s sensory regulation system to better handle auditory and visual stimulants and achieve emotional balance. “We are completing the first proof-of-concept version and testing it in the Dekalim school in Jerusalem,” Kohen-Vacs tells ISRAEL21c. HIT’s tech-transfer company will work on commercializing the system. “The plan is to expand to other locations. It may be possible to enable parents to use the system at home. You just need a smartphone and something like Google Cardboard that enables you to put the phone in it and wear it as headset,” says Kohen-Vacs. Prof. Josef Haik, director of Sheba Medical Center’s Burn Center, has been using VR for more than a decade as a bedside tool to ease the painful process of rehabilitation from severe burns. “It’s all about early mobilization and rehabilitation, getting back to the tasks of everyday life,” Haik tells ISRAEL21c. In 2004, Sheba installed a large Computer Assisted Rehabilitation Environment (CAREN) system in a pioneering move toward VR in treatment and rehab. Burn patients couldn’t be moved to the CAREN room so Haik came up with an inexpensive portable alternative using EyeToy, a digital camera device for PlayStation. Today he’s using Kinect with games devised for patients with certain disabilities. VR gaming therapy offer several advantages, says Haik: The games distract patients and thereby lessen their pain perception; allow patients to adapt to seeing and accepting the look of the scarred area of their body onscreen; and use rewards such as points to encourage continuation of therapy. Moreover, the patient does not have to wear or touch anything, eliminating any risk of cross infection. Haik reported on the therapy in a 2006 study and has presented his approach to the American Burn Association and other associations around the world. The SeeMe VR rehab system was developed by physiotherapists at Beit Rivka Geriatric Rehabilitation Hospital in Petah Tikva in cooperation with Brontes Processing of Poland for stroke or traumatic brain injury patients. It has been on the market since 2009, making it the first commercial VR system of its kind. SeeMe’s technology transmits images to the patient’s computer via a Kinect controller or standard web camera and immerses the patient in a customized computer game requiring specific exercises set by the therapist. The clinician can use the system to evaluate strength, endurance, range of motion, postural control, reaction time, proprioception, quality of movement, perception, divided attention and memory. Studies by scientists from the Technion-Israel Institute of Technology, Tel Aviv Medical Center and Tel Aviv University over the past decade have shown that incorporating VR headsets in gait training improved the walking abilities of people with multiple sclerosis and reduced fall risk in Parkinson’s patients. The latest study, published in Neurology in September, found that VR training actually modifies brain activation patterns in Parkinson’s patients. Caesarea-based Motorika Medical’s ReoAmbulator robotic gait-training device helps adults and children improve walking, balance, coordination, posture or stamina while focusing on accomplishing VR tasks to improve motor or cognitive function including memory and selective attention. Combining these tasks in one session is meant to add a higher degree of challenge leading to better results. On the market since 2014, ReoAmbulator is used in two countries in Asia, five in Europe and in the United States — around 30 installations so far. VRHealth of Tel Aviv and Boston is partnering with major players including Oculus, HTC and Microsoft to launch the first cross-platform-compatible VR medical application for rehab. VRHealth’s flagship VRPhysio software applications – two for neck therapy and one for shoulder therapy – got FDA clearance and are being implemented first in Spaulding Rehabilitation Hospital and Beth Israel Deaconess Medical Center in Boston. CE approval for Europe is expected soon. VRHealth plans to launch additional products within a year: VRCoordi, which will work with VRPhysio to improve coordination skills, initially of children with developmental coordination disorder and various levels of autism; VRCogni to improve cognitive function in stroke, Alzheimer’s, concussion, Parkinson’s and dementia patients; VRReliever to manages chronic and severe pain through distraction; VRPsyc to enhances treatment for diagnosable mental disorders including general stress, phobias and anxieties, eating disorders, and PTSD. “I hope our company will make a difference in the entire healthcare sector — every hospital, nursing home and assisted living — because VR can make a huge difference in many fields,” says Orr.